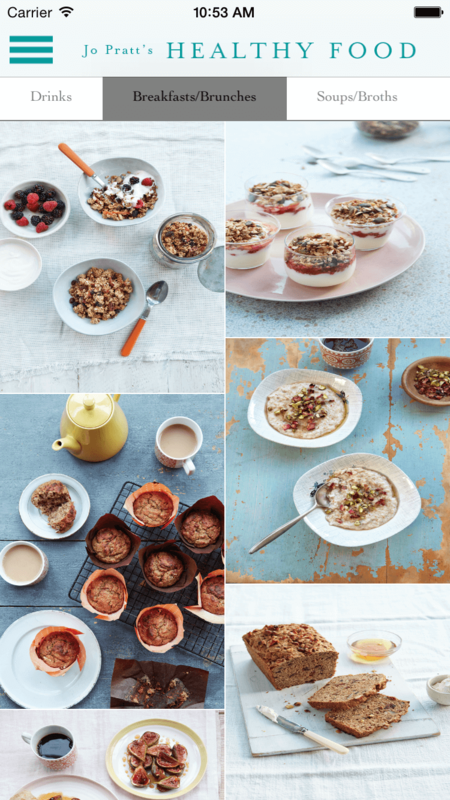 An app packed with mouth-watering yet simple dishes from acclaimed cookery writer Jo Pratt, this stunning collection of nutritious recipes is for anyone looking to eat well. Start the day with Ginger Berry Muffins or Raspberry Yogurt Pots, enjoy a light meal of Poached Chicken Broth with Spring Greens or a more substantial Beetroot Gnocchi with Walnut & Watercress Pesto then treat yourself to a guilt-free Dairy-Free Vanilla & Blueberry Cheesecake or Chocolate Pumpkin Brownies. This is the perfect companion app for the everyday cook who wants to eat and live deliciously well.